Airbus has welcomed Delta Air Lines as the first US carrier to take delivery of the Airbus A220 aircraft. On hand for the delivery ceremony at the aircraft’s assembly line in Mirabel were members of the A220 team as well as government officials and executives from Delta, Airbus, Bombardier and Investissement Quebec. “It is with great pride that we take delivery of our first, state-of-the-art A220-100,” said Delta chief executive Ed Bastian. 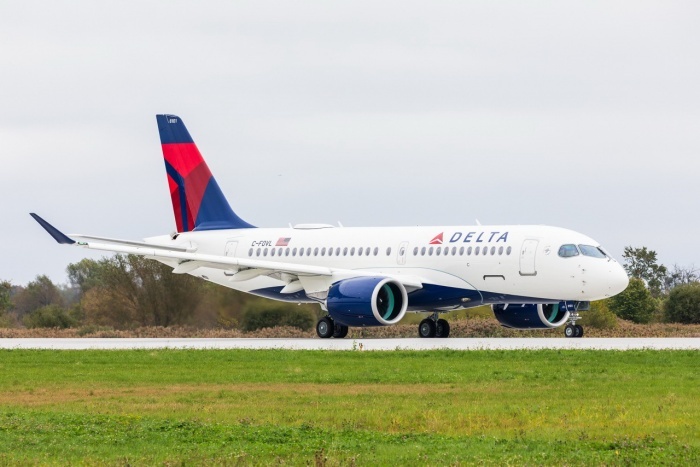 “We have big plans for our A220 fleet and are confident that Delta customers and Delta people alike will be delighted with the in-flight experience provided by this thoroughly modern and efficient aircraft. Delta’s A220 will enter service in early 2019, making Delta the fourth global airline to operate the aircraft previously known as the Bombardier C Series. The C Series Aircraft Limited Partnership welcomed Airbus as lead partner earlier this year, prompting the change of name to the Airbus A220. Guillaume Faury, president of Airbus commercial aircraft business, said: “We at Airbus are dedicated to providing our customers the right products for a marketplace that needs modern, efficient and passenger-friendly aircraft – and the remarkable A220 certainly delivers. “When a great airline like Delta puts a new aircraft into service as a platform for their outstanding passenger service, the entire industry takes note. The A220-100 delivers unbeatable fuel efficiency. It brings together state-of-the-art aerodynamics, advanced materials and Pratt & Whitney’s latest-generation PW1500G geared turbofan engines to offer at least 20 percent lower fuel burn per seat compared to previous generation aircraft. Take a look at a series of images from the delivery, here.